Note that several famous college towns (Boulder, Davis, Fort Collins) fill the highest spots. 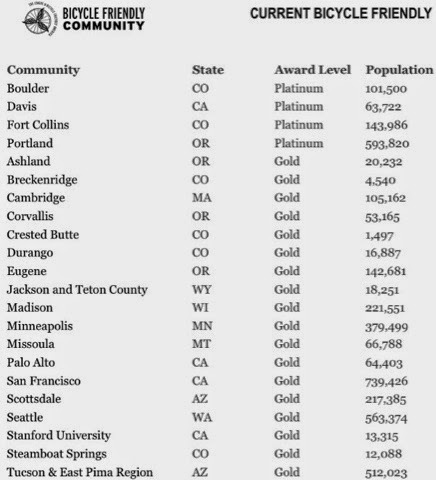 Portland reaches platinum status whereas Seattle is gold. Other notable college towns fill out many of the gold spots (Eugene, Minneapolis, Madison, Missoula). Salt Lake City is rated silver. If you're looking for a new place to live, the quality of life in each of these towns is quite high. Note the oddity that is Scottsdale (and Tucson to some extent). I guess rich Arizonans are getting on board with great bike infrastructure. And good for them! Might have to encourage the dear wife to accelerate our tour of the great American cities. Sorry for the radio silence. I've accepted a position at a new company and, before I start, the wife and I are traveling. Back to the real world (and posting) soon. Happy Wednesday! 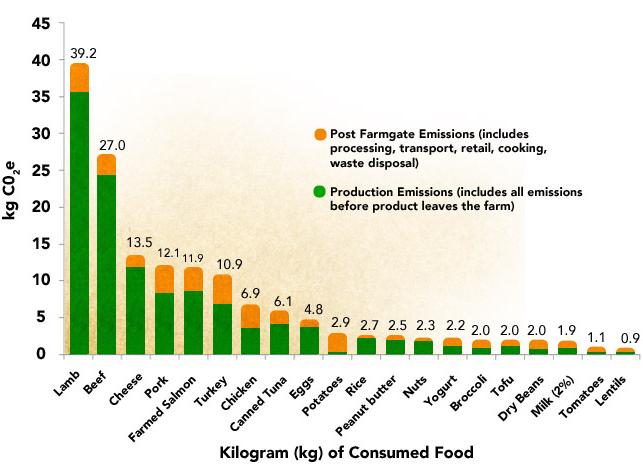 Whether it's for health, moral, or environmental reasons, it appears eating less lamb and beef is a responsible thing to do. Interesting how the benefits can come along so many different axes. The jury is still out, however, on how my family's love of California Burger will change as a result. Dave Chappelle, the comedian who walked away from a wildly successful TV show named for him a decade ago, made his first talk show appearance in ages Tuesday night. He probably wasn’t intending to make an argument about maximizing the efficiency of the tax system in his appearance on the “Late Show With David Letterman,” but that’s what he ended up doing. 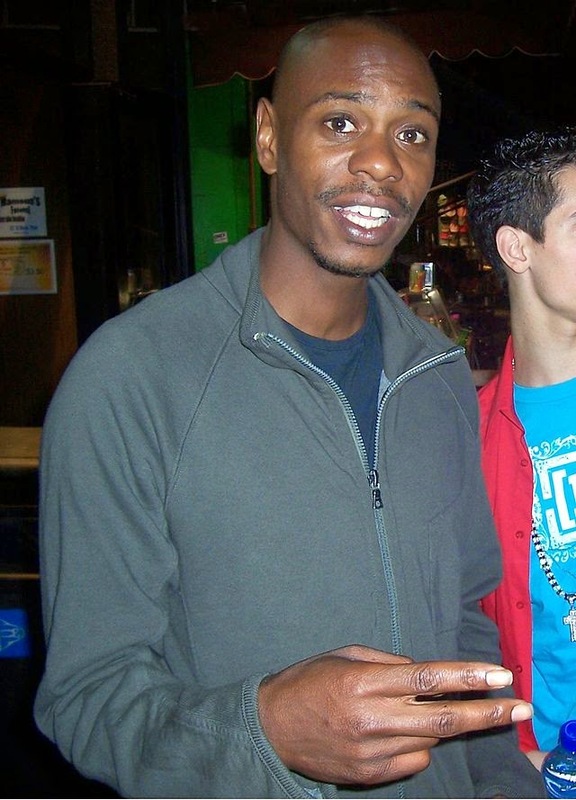 Mr. Chappelle discussed the reported $50 million contract he walked away from when he abruptly ended “The Chappelle Show.” Does the loss of all that money haunt him? His point is about the diminishing marginal utility of rising wealth. If you are flat broke and somebody gives you $1 million, that money significantly increases your quality of life. Going from $1 million to $10 million makes you better off, though probably not 10 times better off. And similarly, going from $10 million to $50 million in net worth creates far less improvement in your quality of life than those early steps of going from broke to $1 million or $1 million to $10 million. The video of Chappele explaining this is here. Indeed, one of the greatest things about higher marginal tax rates is the marginal utility of wealth. In other words, raising taxes on rich people isn't a zero sum game, because transferring one dollar from a millionaire to a poor person helps the latter much more than it hurts the former. As Matt Yglesias puts it, "the difference, in welfare terms, between a Sub-Zero refrigerator and an Ikea refrigerator is much smaller than the difference in welfare terms between having health insurance and not having health insurance." 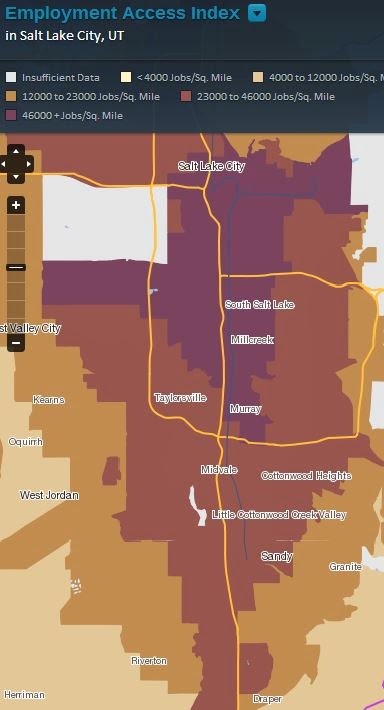 It appears that in SLC proper, South Salt Lake, west Millcreek, and even much of Murray have about twice as many jobs per square mile as most of South Jordan and Riverton. The suburban cities of Draper, Midvale, West Valley City, Sandy, and Cottonwoods Heights appear to fall in the middle of the SL County pack in terms of job density. 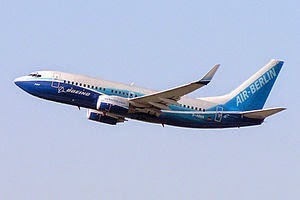 The dear wife and I took a 737-800 to Phoenix en route to Orange County over the weekend. If you haven't taken a Southwest flight recently, they're flying many new ~2 year old 737s, which really enhance the flying experience compared with older planes. While I'll go into this more later, I just wanted to note how fuel efficient flying is these days. From here, I find that Southwest's new "737-800 burns 4.88 US gallons (18.5 L) of fuel per seat per hour." Since the plane's cruising speed is 514 mph, that means each seat (or person) gets ~105 miles per gallon when flying on this plane (i.e. 514/4.88). Not too shabby for one person whose contemplating driving over taking a plane. However, if four people are piling into a Prius instead of driving, the calculus changes. Suddenly, the flight is about 26 miles per gallon for the group (105/4) and the car would be around 50 miles per gallon. Note also that aircraft emissions (due to their altitude) affect the climate more than equivalent emissions from vehicles, although it's hard to nail down by how much.